Sometimes kettle cords really get me steamed up!!! And now a shameless segue into this new cable of mine! If you're anything like me, or the countless Cable Chick customers that I've talked to over the years, you would have bemoaned the distinct lack of right-angled power cables in my line-up. It really has been a noticably absent item from my cable inventory. But now we finally have some and they should help those who have a tight connection to make a little less steamed up about it. This hot power cable really only has one use, and that’s to deliver raw energy from a mains socket to a ‘kettle-cord’ IEC plug in a male-to-female direction. 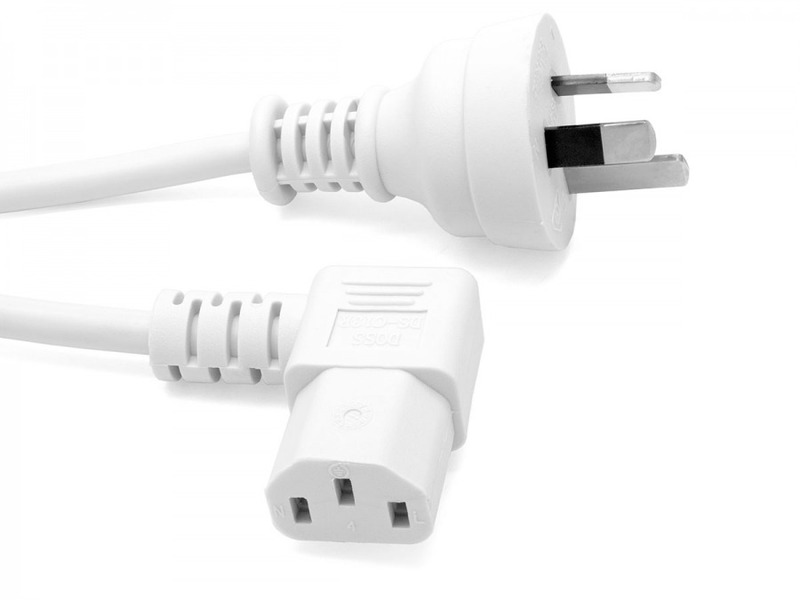 That means many common appliances like Flatscreen TV's, Printers, Monitors, PC Cases and even your humble steamy kettle probably use this common 3-pin power lead.